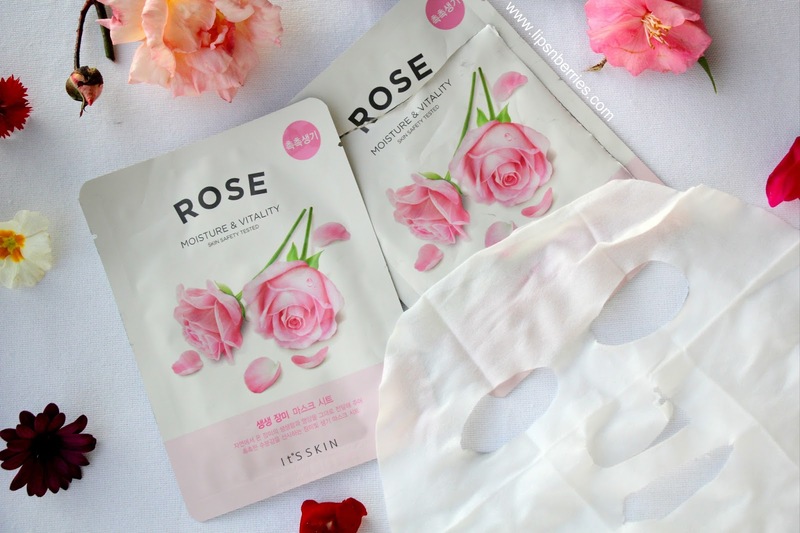 it'S SKIN Rose Sheet Mask Review | LIPS n BERRIES! You know Roses are my thing! I haven't met anyone as crazy about Roses as myself so I'm gonna go ahead and claim the title of a 'Rose Addict'. 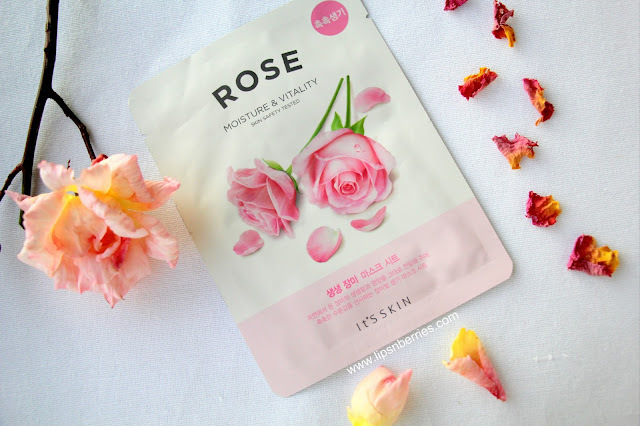 If a brand mentions ROSE on packaging, I'm sure to check out the product. Be it perfume, face masks, cream, lotions, body wash, shampoo, essential oil, massage oil, eye cream & what not! And boy oh boy! I have not been disappointed. I've never quite tried anything like it. It's a sheet mask with sticky rose extract and various other serum/extracts it it. Its supposed to be put on for 15-20 minutes but it smelled so heavenly, I must have done over an hour with this one..till all the serum was gone and the sheet felt dry. The fragrance..OMG! Heavenly is the only word. 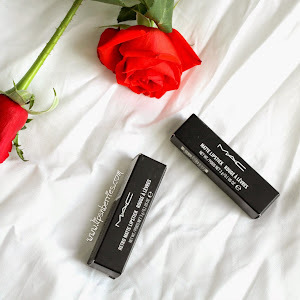 Not overpowering, not fake but just the most beautiful subtle rose scent that doesn't fade with time. 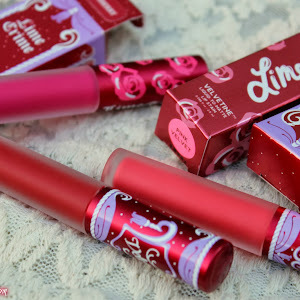 I was in rose heaven for over an hour and that is the reason you are feeling my excitement in this post. I have to mention that the mask was easy to put on, it stuck well and I was able to carry on with life with it on (even some stretches and cleaning my makeup dresser!). 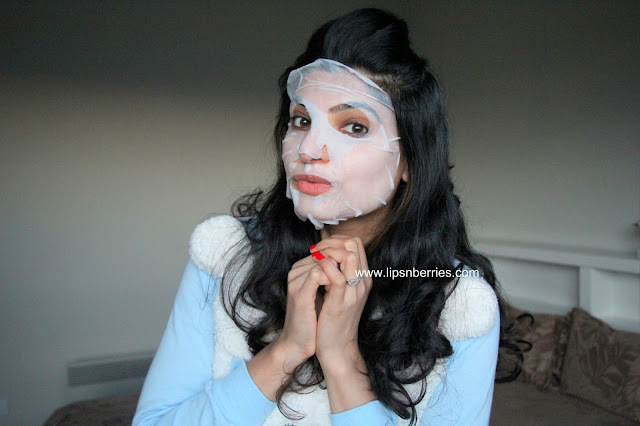 The mask claims Moisture & Vitality so it was perfect for my super dry winter skin. I cleaned my skin thoroughly and put this on. I had no moisturizer or toner on so I could test if this actually made a difference to my skin. I had to tell myself off from spraying some of Savar's Multi Toner because there's no way I can test a moisturizing product with this magical spray on. FYI I am one of those who can't stay without a moisturizer for anymore than 3 minutes or my skin will crack (No I haven't timed it!). The mask moisturized, it moisturized so well. 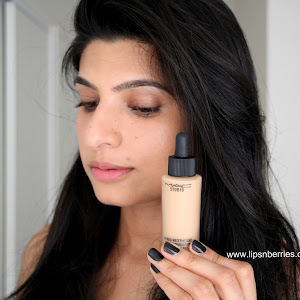 After an hour with it on didn't need to put anything on my skin that night and woke up with glowy & nourished skin. Here's a thing! When your husband says you look radiant and pretty (sans makeup!) there is no other test that can supersede it because lets be honest the male species is known to not make out any difference before and after you've had a haircut. He was actually a lil jealous and demanded to be pampered with this mask so I took some serum that was leftover in the used pack and put it on him. Anything that makes my baby happy! 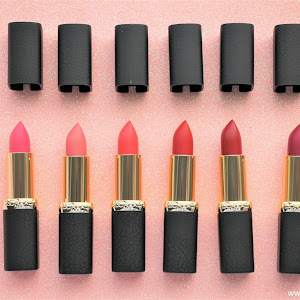 For $4 a piece from Things of beauty website (or their TradeMe account- ButterflyBeauty) who I believe is the only seller of these in NZ, it is seriously worth it. 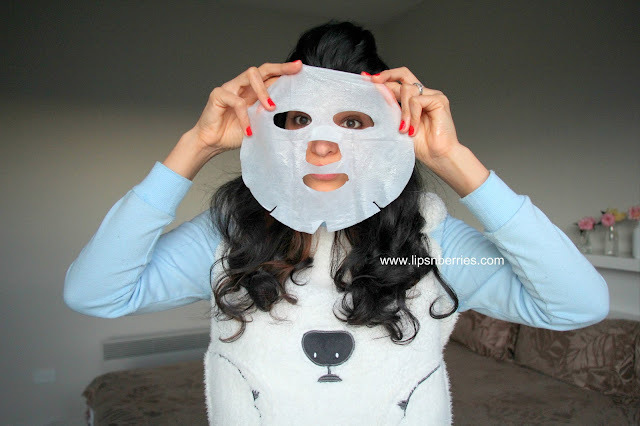 I can't tell you if the glow stayed on day after day because that is very subjective but I can assure you that if you have dull & lackluster skin this winter or have an event to go to..try this sheet mask. 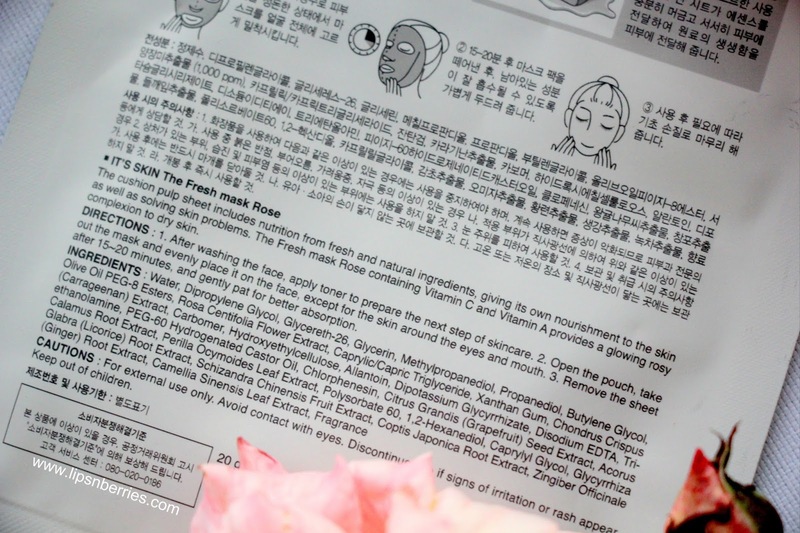 You will have the most perfect skin. 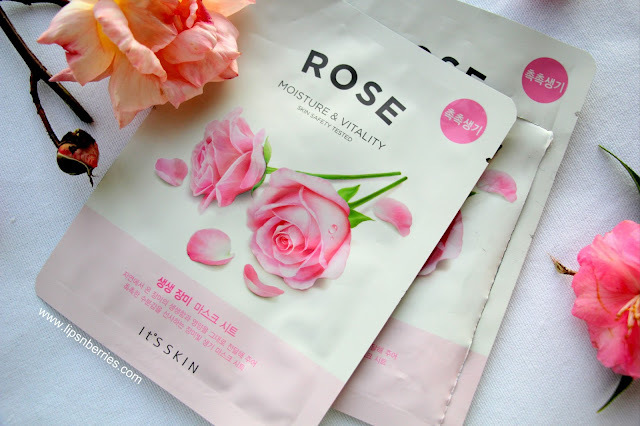 I know I'll be buying more of these because lets be honest what more can Nishu ask for- Roses + Glowy skin. Do they make this in a serum?